Fat-free frozen yogurt at Costco is a weekly treat for me, one of the few I have these days compared to my pre-angioplasty eating ways. And I’ve been amazed at the limited options to find fat-free packaged frozen yogurts in local supermarkets. 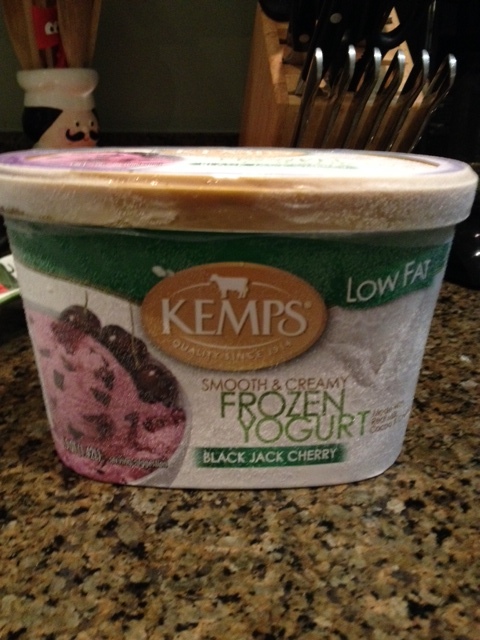 Recently, however, I did find a low-fat frozen yogurt, Kemps, which I’ve really enjoyed and plan to buy again. As you can see on the nutrition info here, it has only 1.5 grams of fat per half cup or 3 grams for a cup, which I consider a serving. Salt content is low. Sugar, at 15 grams a half cup, is high, since a full cup would be 30 grams. That doesn’t leave room for much other sugar in a day, but as I’ve mentioned before, sugar has been the hardest of the three devil items — salt, fat and sugar — for me to get out of my diet. 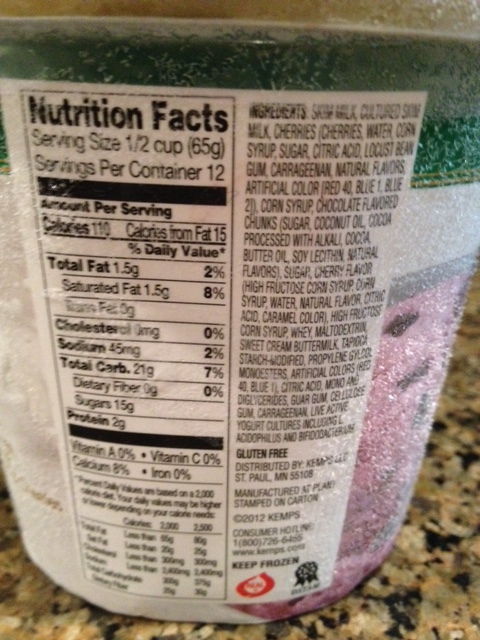 Kemps website does list a no sugar added vanilla frozen yogurt that’s also fat free! Bravo Kemps, now make that in chocolate please. I couldn’t find a chocolate variety at my local Jewel, but the Kemps website also lists a fat-free chocolate frozen yogurt that I would love to try. Thanks for sharing. I don’t know if I can find this in my local store. Will be on the lookout!